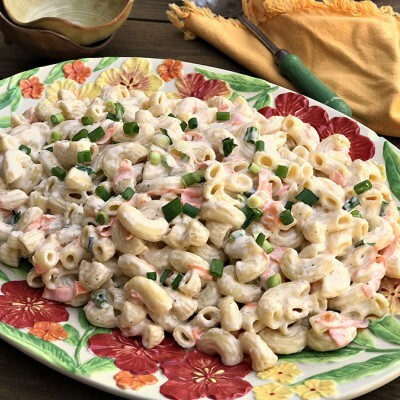 Authentic Hawaiian macaroni salad is all about mayonnaise, and a LOT of it! Usually slightly overcooked (to absorb the dressing), it is a staple on their “lunch plates” alongside grilled, fried or teriyaki meats. 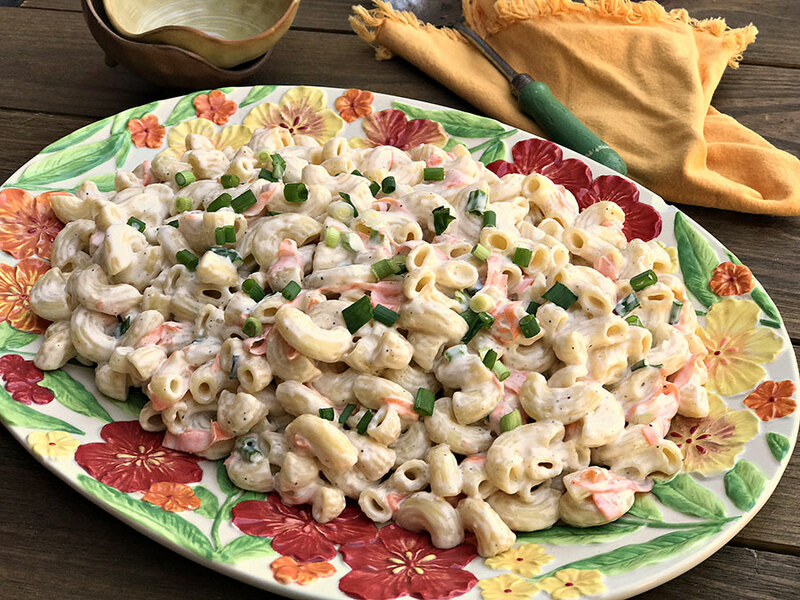 Enjoy this simple tropical make-ahead side salad this summer! Need a main dish for your luau? Grill up some Aloha Hula Hot Dogs for a Hawaiian twist on a classic cookout. Cook macaroni per directions plus 2 minutes until soft. Drain. Stir in pickle juice. Cool 20 minutes. Add carrot and onions. Combine remaining ingredients and mix into macaroni. Chill 4 hours, or overnight (best). If not moist and creamy, stir in more milk at serving time. *Vinegar with sugar can be substituted for pickle juice. This is important for mayonnaise absorption into the macaroni. We love this salad and make it a lot. Vegan style of course.